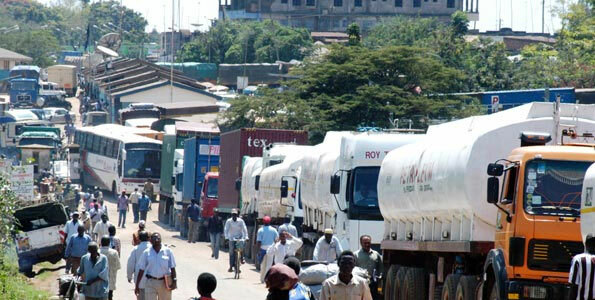 KAMPALA/DODOMA – A new study has urged member countries of the East African Community (EAC) to adopt labour migration policies based on international best practices, improve data management and boost the operationalization of One Stop Border Posts. The comparative study assesses migration patterns and policy issues in Burundi, Kenya, Rwanda and the United Republic of Tanzania – four of the six EAC countries. In 2010, the International Labour Organization (ILO) estimated that there were about 19.3 million migrants in Africa, of which 8.4 million were classified as migrant workers. In 2015, the estimated population of the EAC, which also includes South Sudan and Uganda, was over 145.5 million people, with a gross domestic product of about USD 147.5 billion. As the region intensifies efforts to achieve its integration milestones, specifically within the context of the EAC Common Market Protocol, cross-border labour movements have made labour migration a pertinent issue for the partner states. The East African Common Market Protocol provides for the movement of persons, travel documents and the free movement of workers in particular. It focuses on three migration issues: national policy frameworks, data management and migrant worker practices. “We appreciate the commitment and cooperation from the United Republic of Tanzania in conducting this study and are confident that the presentation of the results will assist the Government of Tanzania and the other three EAC Member States in improving their management of migration flows, in particular those related to labour,” said IOM Tanzania Chief of Mission Dr. Qasim Sufi. Twenty different institutions in the United Republic of Tanzania and Zanzibar, including the President’s Office, the Ministries of Trade and Industry, Ministries of Labour, Immigration Departments, Trade Union Congress of Tanzania and Association of Tanzanian Employers participated in the launch event that took place in the capital city of Dodoma. The comparative study was commissioned within the framework of a regional project Supporting Labour Mobility in the East African Community: Operationalizing the Common Market Protocol Provisions on Free Movement of Persons and Labour, funded by the IOM Development Fund.